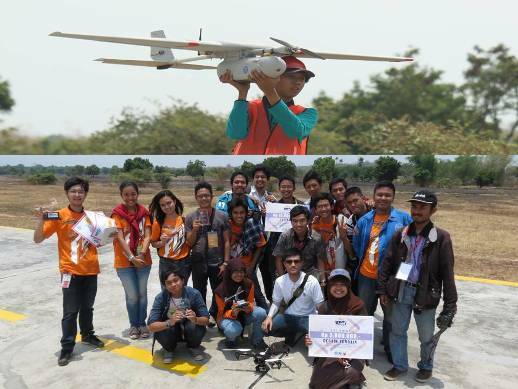 Students from Indonesia’s Bandung Institute of Technology recently won the Indonesia Aerial Robotics Contest (IARC) of 2014. Every year, the country’s Ministry of National Education and Culture sponsors the contest, which is the oldest collegiate aerial robot design competition in the world. The Aksantara team received first prize in the fixed wing category, as well as the best design award and the best presentation award for a university. Among the team’s supporters was the Tanoto Foundation, the nonprofit organization created by Indonesia’s Sukanto Tanoto, a self-made entrepreneur who concentrates on funding educational initiatives and other programs that can help lift underserved communities out of poverty. The Tanoto Foundation currently partners with more than two dozen Indonesian universities to award scholarships and to sustain other educational enhancement programs. Led by aeronautics and astronautics student Rivaldy Varianto, the Aksantara group initially consisted of a small team of like-minded students that later expanded to welcome others studying in different areas of the institute. The team members built on what they had learned during the previous year’s competition to come back stronger in 2014. Speaking for the team, Varianto described the students’ hopes that their work can assist Indonesia in building its research and development capacity. Ultimately, they would like to see their country take a leading role in supplying global markets with advanced aerial robotic technologies. Aerial technology, such as that produced through the IARC, can play a vital role in a nation’s disaster response and natural resource management capabilities by monitoring hazards such as forest fires. Sukanto Tanoto’s $15 billion RGE Group of corporations includes Asia Pacific Resources International Limited (APRIL), a wood pulp producer that aims to pioneer new, more effective methods for fire tracking throughout its agricultural concessions. Through competitions such as the IARC, Indonesian higher education students can begin to assume their places as technologically sophisticated innovators in an increasingly competitive world. In November 2014, Indonesian palm oil production company Asian Agri announced its certification at the ISCC PLUS level for the crude palm oil produced at all its mills. The event distinguishes Asian Agri as the largest producer of crude palm oil operating in Indonesia under such certification. The company had previously obtained ISCC certification for its palm kernel processing operations. The independent testing and verification organization SGS Germany provided the certification. The ISCC (International Sustainability & Carbon Certification) program grants verification of a company’s compliance with relevant environmental best practices regarding sustainability and greenhouse gas emissions. In 2011, the ISCC system achieved recognition from the European Commission as one of the first certification programs to comply with the European Union’s Renewable Energy Directive of 2009. The ISCC’s global system can be applied to multiple types of biomass products, and it provides a single framework that simplifies international commerce for a variety of businesses. Furthermore, the ISCC program looks at supply chains in their entirety, examining the process at every point from farm or field to end-user. This makes traceability up and down a supply chain far easier. To date, the ISCC has issued close to 5,000 certificates to forward-looking companies such as Asian Agri. Through the ISCC PLUS certificate, Asian Agri demonstrates its ongoing commitment to economic, environmental, and social sustainability. 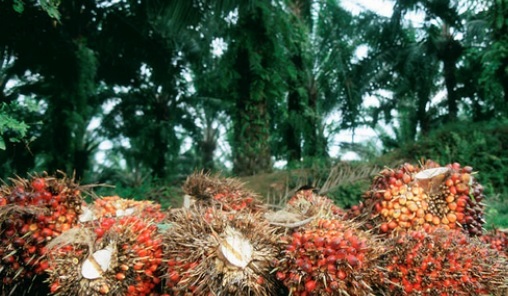 The new certification will allow Asian Agri to increase its presence within the global marketplace, and to serve as an example for other palm oil production companies in maintaining environmentally sound operations. For this reason, Asian Agri also stands poised to assume a leading role in advertising the Indonesian palm oil industry as a significant player in the global sustainable economy. Asian Agri, which works with some 29,000 smallholders families, is one component of the $15 billion RGE Group of corporations under the direction of founder and CEO Sukanto Tanoto of Indonesia. With operations established in 1979, Asian Agri now oversees 160,000 hectares of production land. In late 2014, the Tanoto Entrepreneurship Series once again hosted businesspeople who have distinguished themselves by their success in Indonesia. A project funded by the nonprofit Tanoto Foundation in partnership with the economics faculty at Universitas Indonesia, the lecture series has previously drawn luminary speakers such as Indonesia’s recently elected president, Joko Widodo. As part of the Tanoto Foundation’s goals of supporting individual entrepreneurial development and public education programs, the series strives to offer students practical knowledge based on the experiences of well-known businesspeople. Niluh Putu Ary Pertami, the designer and creative director behind the luxury footwear brand Niluh Djelantik, joined Garuda Food CEO Sudhamek AWS to take turns at the podium. Niluh, whose brand is now available in fashionable European retail outlets, gained her love for style early in life. During her youth on the island of Bali, her family was not wealthy, and her mother routinely bought Niluh’s school uniforms and shoes several sizes too big, in order to economize the cost over several years’ growth. However, her mother also encouraged her ambitions, and sent Niluh to study business in Indonesia’s capital city of Jakarta. There, the young entrepreneur learned organizational and professional skills through both study and practical, on-the-job training. 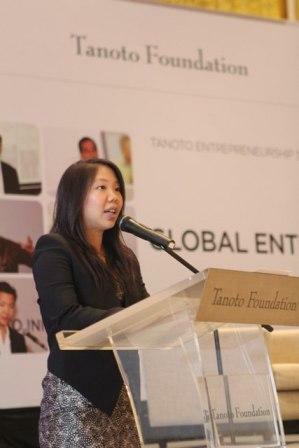 Her lecture to the Tanoto group of student entrepreneurs focused on her experience as the head of a brand that it took her a decade to launch from one small local manufacturing shop onto the international stage. She believes in seizing opportunities as they arise and dedicating constant attention to improvement and innovation. Sukanto Tanoto’s RGE Group of corporations, through its founder’s vision and dedication, has earned a significant share of the world’s business in energy development, palm oil and wood pulp production, and other manufacturing industries. Mr. Tanoto’s personal and professional focus on constant analysis, development, and innovation echoes the themes in Niluh’s address to the students. Through the Tanoto Entrepreneurship Series, he hopes to continue to assist emerging young business leaders with their efforts to drive economic and social growth in Indonesia. The Tanoto Entrepreneurship Series, funded by the Tanoto Foundation in collaboration with the economics faculty of Universitas Indonesia, aims to be a strong weapon in the fight against poverty in the Southeast Asian nation by providing education and support for student entrepreneurs. This lecture series engages distinguished entrepreneurs as guest speakers to address the practical needs of today’s students and emerging business professionals. Through the generosity of Indonesian-born entrepreneur Sukanto Tanoto, the series has hosted guests that include current Indonesian president Joko Widodo. The most recent lecture series, held in Jakarta in October 2014, featured presentations from two well-regarded names in Southeast Asian business: Sudhamek AWS, the chief executive officer of Garuda Food, and Niluh Putu Ary Pertami, creative director of the Indonesian shoe brand Niluh Djelantik. The two successful businesspeople shared their secrets and their insights with the Tanoto Entrepreneurship Series’ graduate program students and recipients of Tanoto Foundation educational scholarships. Sudhamek AWS offered information based on his experiences heading one of the region’s best-known food brands. Given the fact that Indonesia’s infrastructure still needs to make substantial progress before it can facilitate consistent delivery of goods and services, he has faced major obstacles in implementing his corporate strategy. Nevertheless, he believes that dedication to hard work and constant learning are necessary keys to success. Sudhamek praised the Tanoto Entrepreneurship Series as a means for business leaders to share their own early struggles in a way that will make the road easier for those who follow. Sukanto Tanoto himself serves as an illustration of Sudhamek’s ideas. As a self-made entrepreneur who has pursued a lifelong course of formal and self-directed education, Mr. Tanoto places great value on learning. Through the Tanoto Foundation and its Entrepreneurship Series, he hopes to share the insights he and other leaders have gained, in order to support the efforts of everyone who has the potential to assist the economic growth of Indonesia. Sukanto Tanoto is proud of his history as a self-made entrepreneur. The Indonesian-born son of Chinese immigrant parents, he grew up in modest circumstances helping out in his father’s business. While still a young man, Sukanto Tanoto built on his father’s small company, learned everything he could about business practices and methods, and made shrewd strategic moves that earned him success. Now, Mr. Tanoto is among Indonesia’s richest individuals. He heads the RGE Group of companies, which he has grown over the years to a total worth of approximately $15 billion. By utilizing his philosophy of diversification and practicing wise stewardship of corporate and environmental resources, Mr. Tanoto has managed to weather multiple international business storms. He concentrates on giving back to the struggling students of today through the Tanoto Entrepreneurship Series, held in collaboration with the Magister Management Program within the economics faculty at Universitas Indonesia – Tanoto Entrepreneurship Series 2014. The series brings successful entrepreneurs to present public lectures to a wide audience of students and would-be businesspeople. Through these talks, aspiring young entrepreneurs can begin to understand the entrepreneurial mindset, gain practical advice on starting and running their own businesses, and forge connections with notable leaders in a variety of fields. Among the past lecturers in the series is Indonesia’s newly elected president, Joko Widodo. Currently, the percentage of Indonesia’s population working as entrepreneurs is about 2 percent. Studies point to the fact that, if a nation is to boost its economic growth, that is the bare minimum level of entrepreneurial experience necessary. Sukanto Tanoto believes that starting out young enables an entrepreneur to approach problems and challenges with a fresh outlook, large reserves of energy, and the free time necessary to create truly innovative solutions. By beginning his own entrepreneurial life so young, he believes that he was able to develop positive habits, such as resilience and determination, that fueled his later success. In order to further the goals of individual students, as well to assist his entire country in alleviating the problem of poverty, Mr. Tanoto is pleased to offer the lecture series and associated educational funding and scholarships. 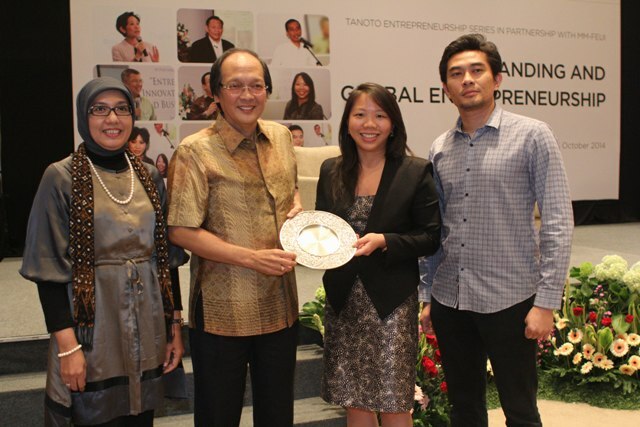 To watch more about the Tanoto Entrepreneurship Series, please click here. Asia Pacific Resources International Limited (APRIL), one of the many companies operating under the Royal Golden Eagle (RGE) corporate group headed by Sukanto Tanoto, has embraced a zero-burn policy on its wood pulp-producing plantation lands in Indonesia since its inception in the mid-1990s. Following Mr. Tanoto’s direction, all of RGE Group’s natural resources manufacturing companies strive to implement best practices in conservation and land use. In APRIL’s case, this has involved extensive cooperation on fire management with government agencies, local communities, and non-governmental organizations focused on environmental issues. In addition, APRIL has implemented wide-ranging policies and procedures that have proven their usefulness in reducing and eliminating fires throughout its home base in Riau Province on the island of Sumatra. Taking a 360-degree view of the situation, APRIL has instituted high-level fire-detection systems, community education and awareness programs, and an innovative incentive pilot project designed to reward villages successful in preventing and containing fires. In addition, through the blog APRIL Dialog, the company works to demonstrate transparency in addressing issues of concern to local populations living near its lands and to the larger environmental community. Unchecked fires on plantation lands have presented serious health, safety, and environmental hazards for decades in Indonesia. In addition, when the haze from those fires spreads across borders into Singapore and Malaysia, it presents a situation that the United Nations has elevated to the level of a world crisis. APRIL has made significant strides in addressing the problem through an investment of $6 million to provide an aggressive response to fires on lands bordering its own, realizing that containing the spread of fire is the responsibility of all stakeholders. 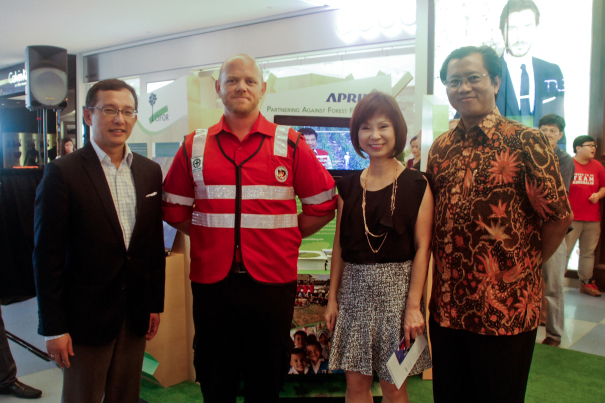 In addition, in November 2014, APRIL once again took a leading role by participating as both a sponsor and an exhibitor at Singapore’s first public exhibit to focus on the problem of haze. The exhibit was named “Haze: Know it. Stop it.” and sought to educate citizens about the causes that contribute to pollutant haze in the country.